The Best Cleaner for Wool - be cheap! You know what wool is, right? You guessed it! Sheeps hair. What do you use to wash hair? Shampoo of course! There's no need to buy the most expensive shampoo. Cheaper brands work just as well as the ones you use for your own hair. As an added bonus, you only need a small amount to get the right amount of suds - more is not better in this case. Put cold or tepid water into a sink or tub. This part is essential. You must not shock the wool by using hot water for washing, then cold for rinsing. Use cold or tepid for both cycles. It's possible to use your washing machine on a gentle cycle, but if you're not familiar with your machine, leave that until you have a handle on washing by hand. Add the shampoo into the water, and mix it up. Use only a small amount - you don't need tons of suds to get wool clean. It's only there to make the water more easily absorbed into the fibres. A capful, or a small handful is adequate for a sweater or two. Add the garments, thoroughly soaking them. Swish them around gently with your hands. Make sure they're completely wet. Leave them to soak for twenty minutes or so. You may notice the water seems really dirty! That's a good sign. The surfactants in the shampoo can work their magic even without any agitation. Pour out the water, or take the sweaters out and drape them to drain. Don't twist them! Just allow the water to leave via gravity. Now comes the tedious part - rinsing. If you paid attention to the first part of the instructions, you didn't put too much shampoo in, so there won't be lots of suds to rinse out. Fill the tub with clean tepid water for each rinsing, swish the sweaters around, drain again. You may need to do this two or three times to get all the soap out. Don't eliminate or skimp on this step! Shampoo is sticky, and just attracts more dirt. Now, gently squeeze the moisture out, if you're sure the soap is all gone from the wool. Then lay the sweater flat on a clean towel, roll it up and again squeeze it. The towel might get pretty wet, but the sweater will be just damp now. Lay it flat on a screen or another clean towel - don't hang it up! Alternate method; after the second rinse, put the sweater into the washing machine, select the spin cycle only. Let it spin the water out for a minute or two, then lay the now damp sweater on the towel to dry. Adjust the sweater so it dries to the right shape. 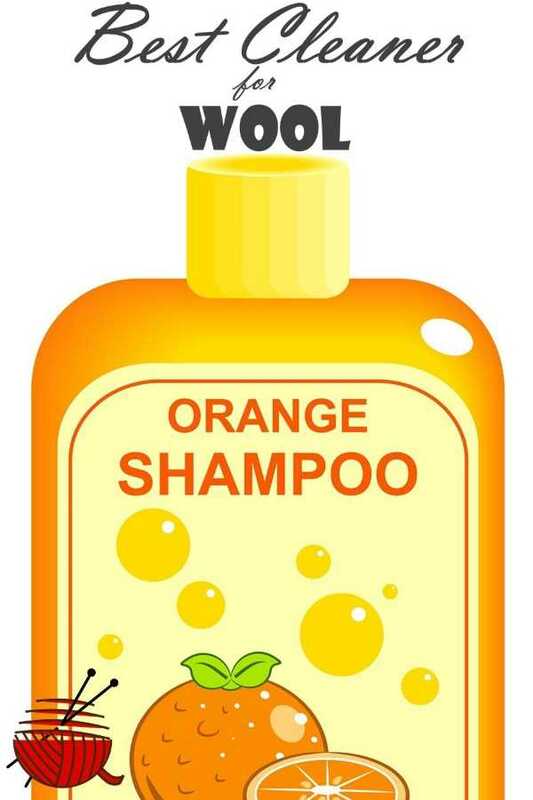 Choose a shampoo that isn't highly scented. There's nothing quite like the smell of damp wool combined with perfume. Look for something mild and gentle that has no scent, or not much.